Dr. Anthony (Tony) Hoffman was born and raised in Hillsboro, Oregon. He graduated from Hillsboro High School in 1978. He then received his undergraduate degree in Biology at Southern Oregon College in 1982 and went on to earn his dental degree from Oregon Health & Science University in 1986. Dr. Hoffman is a member of the American Dental Association, the Oregon Dental Association, and the Washington County Dental Society. 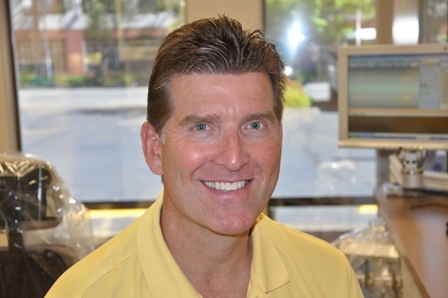 Dr. Hoffman has been recognized as one of the Top Dentists in the Portland area every year since 2013. He is also the team dentist for the Hillsboro Hops baseball team! Dr. Hoffman actively pursues continuing education and is involved in a variety of study clubs. Dr. Hoffman and his wife Susan have three children: Parker, Sydney and Riley. In his free time he enjoys skiing, golfing, backpacking and spending time with his family.